Melissa was born and raised in Smithtown, Long Island, NY. That is where she found her love for animals of all kinds! Melissa began a passion for horses as a little girl, riding and competing in the Hunter/Jumper circuit for 20+ years. 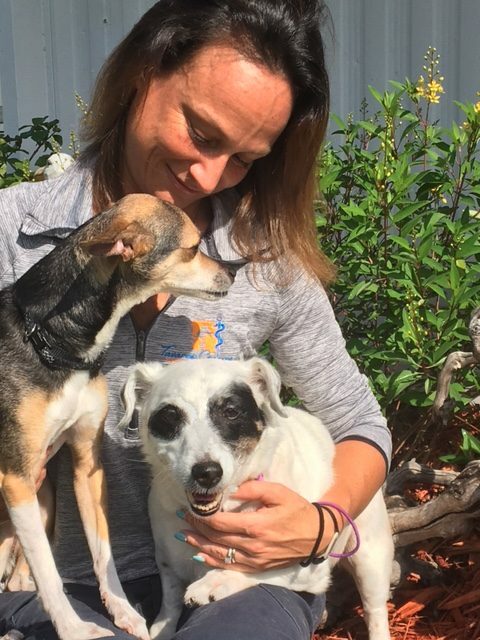 Throughout these years she has rescued many horses, dogs and cats, and continues that today! Melissa loves being on the water with her husband and 2 “kids”, Suzy and Sammie (both rescues) observing the manatees, dolphins, turtles, etc. Melissa cares deeply for the well-being of all animals, large and small.